I don’t know how longer is going to be available but you have this book prepared for you to download it and read it. 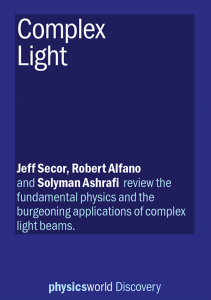 It is very short but it introduces into the complex world of light seen as electromagnetic radiation. It is not that you need a very high level of physics and its content is very interesting.